This apartment is located right in the heart of Barcelona. 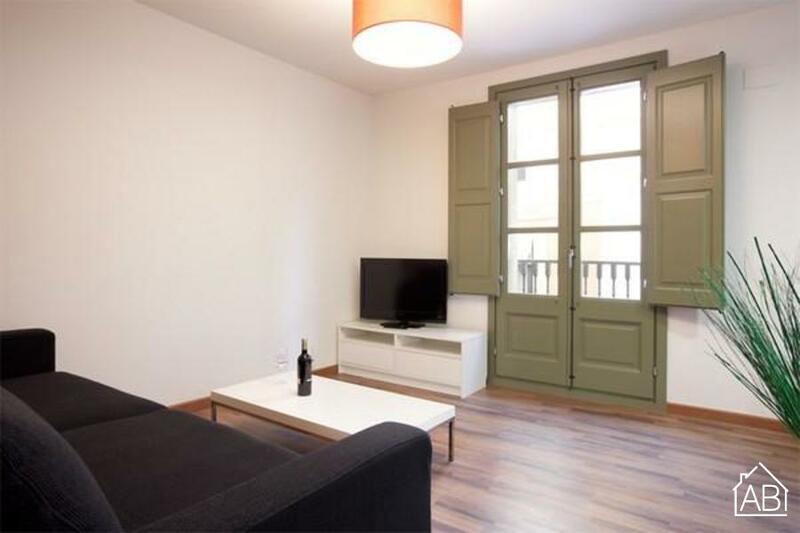 It is situated in the Gothic Quarter close toLas Ramblas. The apartment is bright and modern with a capacity of up to four people. It has one bedroom and parquet flooring throughout. The living room has a comfortable double sofa bed, a TV with satellite, and access to the balcony. The American kitchen is fully equipped with all of the appliances and utensils you would need to prepare your home-cooked meals, and there is a stylish breakfast bar where you can enjoy them. This fantastic apartment has both heaters and air-conditioning making it perfect at any time of year!